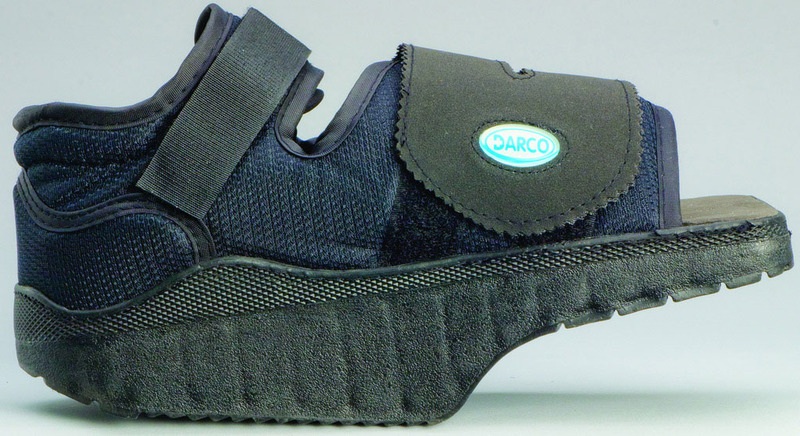 Orthowedge Healing shoe by Medline Canada is designed to protect your entire foot post surgery. When used, it reduces the pressure on just on point and spreads it all over the foot. Its square toe design helps to protect the toes in the presence of K-wires. Ankle straps secures your foot inside the shoe without the risk of any slippage. It comes with a double layered padded and insoles can be removed and modified as needed. Have bought this product last week. Easy to wear and is very comfortable. It improved the healing process and helped me walk in a very less time. I had a foot surgery last month. My doctor recommended "orthowedge healing shoe". This shoe is good. It was just what I needed. The size is perfect, The strap was placed well to secure my foot without putting pressure on the injury. This shoe enabled me to walk after surgery. I would have needed crutches for 4 weeks without the shoe. Highly recommended for front of the foot healing. Very easy website, easy to find products that i needed. Prices are cheaper as compared to other websites. Fast delivery, great product.